Size: 28cm x 22cm x 14cm(11.02" x 8.66" x 5.51" ). Convenient to open and close it, easy access to reach the stuff. 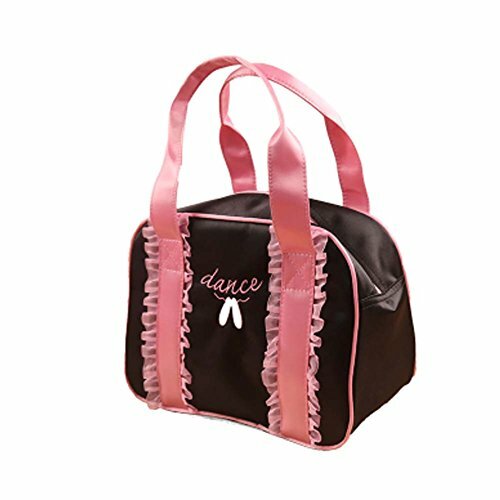 This bag is perfect for carrying your dance supply around in style and to show your love of dance. Large capacity design. Ideal for holding dancing dress, socks, shoes, water bottle, cards, wallet, keys, books, etc. Sdoo VR-GO Box 3D Virtual Reality Travel Glasses,for 4.5-5.5 inches Smartphone, iPhone 6S plus, 6 Plus, 6S, 6, 5S, 5, Samung Galaxy S6,S5,S4 etc.